Look around Northern Michigan. One of the greatest American writers of the 20th century is closer than you think. 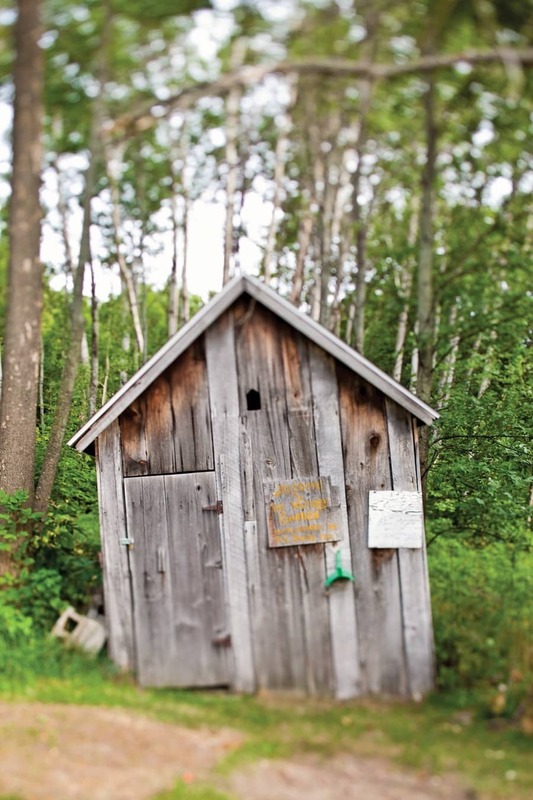 This article is featured in the June 2012 issue of Traverse, Northern Michigan’s Magazine. Get your copy. What with the wood-burning cook stove rocking enough heat to send her battered chicken sizzling in melted lard, and it being August and all, you have to believe Liz Dilworth was hot the day she received the postcard from Italy. 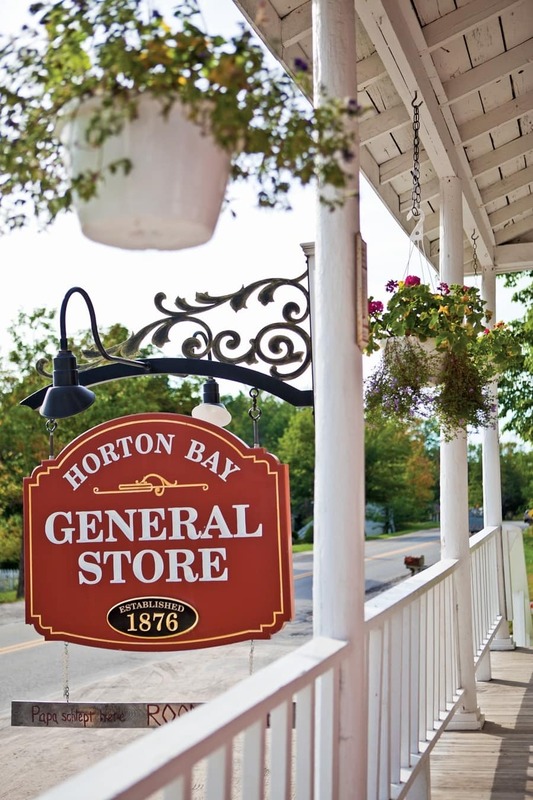 She may have swiped her floured hands across her apron and marveled at the way the card had traveled all the way to her tiny restaurant in the Northern Michigan hamlet of Horton Bay on the Lake Charlevoix shore, before reading the casually written note. “Dear Auntie Beth, Save a place at the table for me …,” Ernest Hemingway wrote to her from the Italian hospital where he was recovering after being wounded while serving in World War I. Sometime after she was through absorbing it, the woman that Hemingway called Auntie Beth tucked away the note from the summer kid from Chicago who’d bunked in the Pinehurst Inn’s back shed that past summer. Seventy-seven years later, long after Liz Dilworth’s death, the postcard surfaced from the depths of the old cottage’s attic. Last spring, on a visit to Pinehurst Inn (now a private home) while in Northern Michigan for a Traverse City National Writers Series appearance, Paula McLain—author of The Paris Wife about Hemingway’s first wife, Hadley—read the postcard aloud for our Traverse Magazine/MyNorth.com videographer, Kris Riley (watch the video!). In that ancient clapboard cottage, so suffused with memories of the young Hemingway, McLain’s clear enunciation of his clean phrases dissolved the decades into that magnificent Hemingway cosmic wrinkle that seems to gather more, not less, energy with the years. The spell was cemented several hours later when McLain stood in Windemere, the Hemingway family cottage on Walloon Lake, graciously invited by Hemingway’s nephew Ernest Hemingway Mainland. 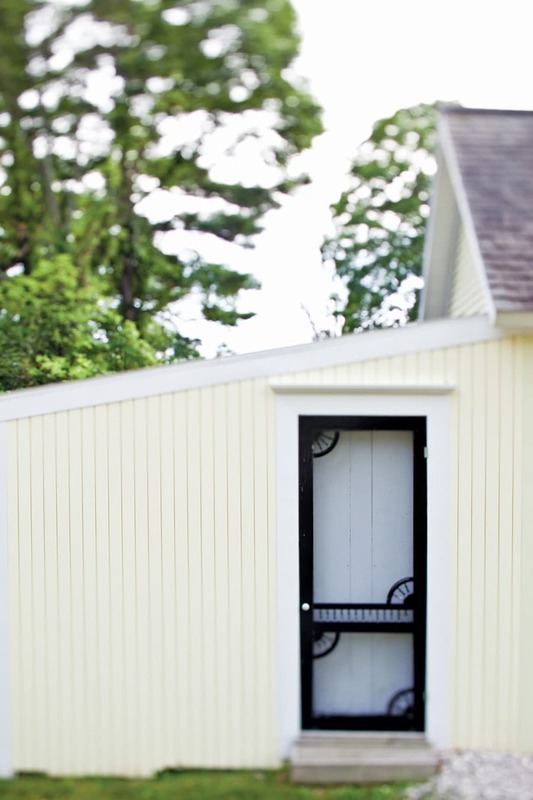 There, Ernie showed us where Grace Hemingway tracked her children’s heights on the frame of the door to the back porch: “When I saw how he [Hemingway] shot up between the ages of 14 and 17, I actually got chills. A physical manifestation of his coming of age,” McLain says. Yes, there is no sign of fade to the colorful Hemingway mystique. Consider the swirl of releases about him in 2011 alone, which included The Paris Wife, McLain’s book that launched to the The New York Times bestseller list upon release and has stayed there since. Later in the year saw the voluminous The Letters of Ernest Hemingway 1907-1922, edited by Hemingway scholars Sandra Spanier and Robert Trogdon. And of course there was Woody Allen’s movie Midnight in Paris, about a young American writer who, on a visit to Paris, is beckoned into an antique car by Hemingway and transported to the City of Lights in the 1920s. 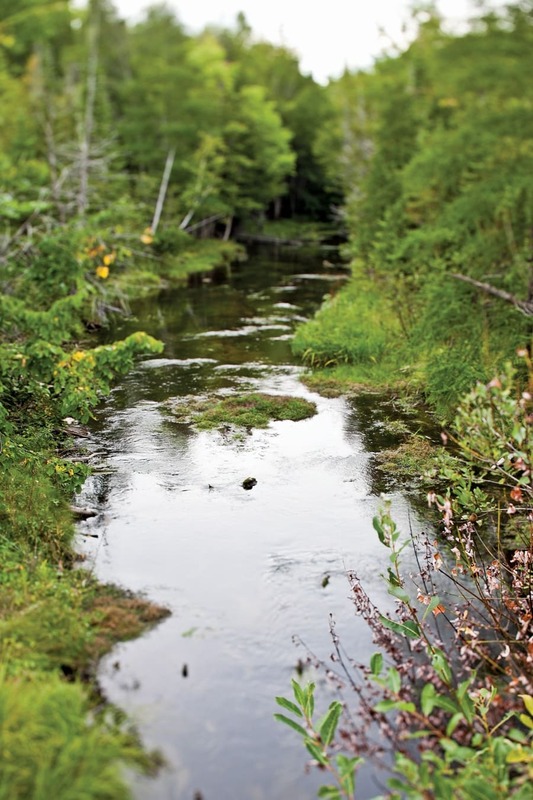 Hemingway’s Northern Michigan swims dark, silent and very much alive through all of these works. To channel the man that Hadley married (in Horton Bay in 1921), McLain time-traveled back to early 20th-century Northern Michigan where a young Ernest reveled in the woods and waters from Walloon Lake to Lake Charlevoix. “Those boyhood summers up in Michigan were crucial—the place of his initiation rites, how he became a man and began to understand what that meant. It’s the place he first met the natural world and began to love and need it—a connection that would nurture and inspire him all of his life,” she says. You can’t help but catch that potpourri of warm pine needles, fish-scented breezes and the adrenaline of adventure that blew through Hemingway’s Northern Michigan summers in The Letters of Ernest Hemingway. This first of what is to grow into a 14 volume set of Hemingway letters, covers his childhood and young adult summers (and one fall) in Northern Michigan, his experience in Italy during World War I and his first year in France where he mined his Northern Michigan memories for his Nick Adams stories. In Paris, Hemingway honed the concept of modernism—and the paradigm shift it set in motion for Western culture—while simultaneously harkening back to his days of near-primeval joy in Northern Michigan’s wilderness. His compadres in the process were the urbane and erudite likes of Gertrude Stein, Pablo Picasso and Ezra Pound. Those Up North memories included a fishing trip in the summer of 1913, described below in a letter Hemingway [who refers to himself as Old Brute] wrote to his oldest sister, Marcelline [Ivory, here—one of his endless nicknames for his sister]. In Paris the modernists were searching for writing that stripped the pretentious patina of Victorianism from prose—and in so doing, hopefully freed society as well. They found that spare and powerful honesty from a once-upon-a-time Northern Michigan summer kid who wrote fresh, raw and au naturel. For decades, Hemingway fans have stumbled lost around Northern Michigan toting dog-eared copies of the Nick Adams Stories in search of the real-life settings Hemingway used in his writing. To help them out, the Michigan Hemingway Society recently spearheaded a self-guided tour of Hemingway haunts that features bronze descriptive plaques on selected landmarks—descriptions reprinted here. For more information: MIHemingwayTour.org. Built by the Chicago and West Michigan Railroad in 1892, this building later served as the Pere Marquette Railroad’s main station and Hemingway likely used it when traveling between Charlevoix and Petoskey. It became the Little Traverse History Museum in 1969, and houses a permanent exhibit and other materials related to the region’s history and Hemingway’s personal and literary connections here. This station, built in 1899, served as the region’s transportation hub. The Hemingway family passed through it often when going from Harbor Springs to their Walloon Lake cottage. Hemingway himself used the station when traveling north from his family’s Oak Park, Illinois, home. It is the model for the train station in his novel, The Torrents of Spring, set in the Petoskey area. Built in 1899, this is the only one of Petoskey’s grand turn-of-the-century resort hotels remaining. 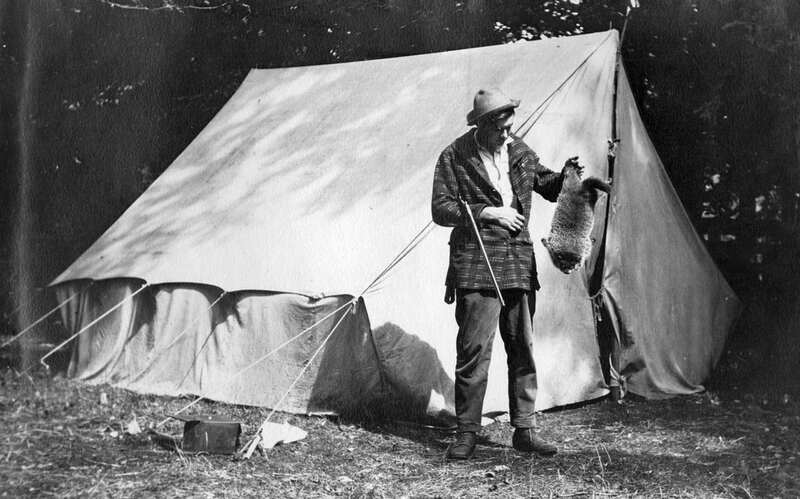 In 1916, Ernest Hemingway hiked and camped his way to Northern Michigan from his Oak Park, Illinois, home with a friend. When he arrived in Petoskey, Hemingway stayed at the Perry Hotel—paying 75 cents for his room—before heading to the family cottage at Walloon Lake. This building once housed McCarthy’s Barber Shop and Bath Room, where, in the fall of 1919, the young Hemingway went for a shave or haircut and for the patrons’ banter about fishing and politics. He also likely took advantage of the public baths located in the building’s basement. The shop is referred to by name in Hemingway’s novel, The Torrents of Spring. 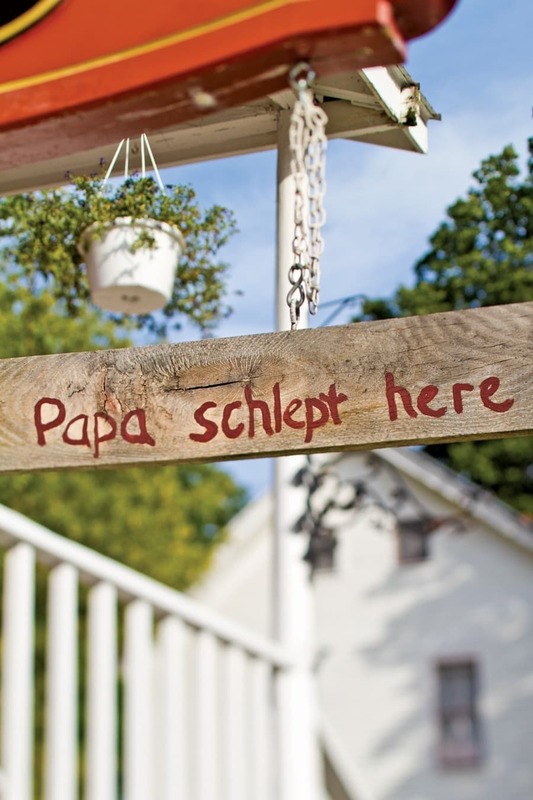 Established in 1903, this Petoskey favorite is noted for its home-style cooking. Jesperson’s was said to have been a favorite hangout of Hemingway and his Petoskey friend, Dutch Pailthorp. 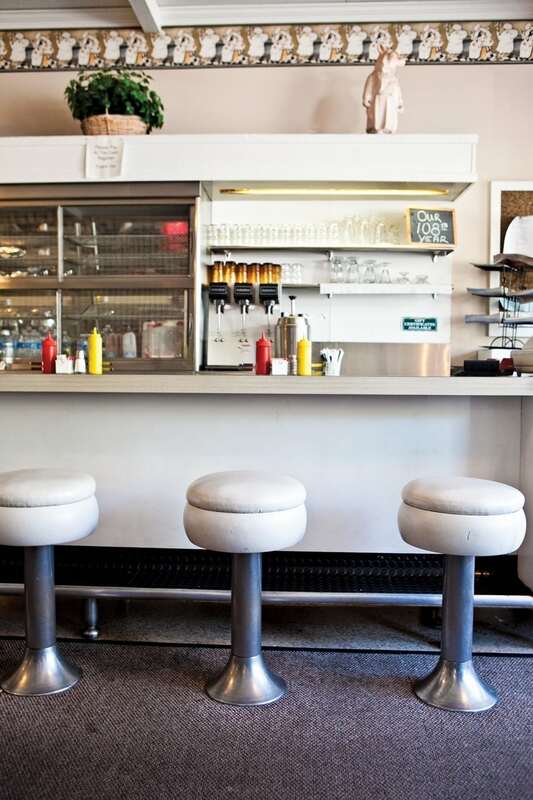 Its long lunch counter suggests the ones in Hemingway’s story, “The Killers” and in his novel The Torrents of Spring. Additionally, the original owner, Yorgen Jesperson, may have inspired the character Jogi Johnson in Hemingway’s novel, The Torrents of Spring. When living in Petoskey in 1919, the library was a favorite haunt of Hemingway’s and, in December, wearing his Italian cape and Red Cross uniform, he spoke here to the Ladies Aid Society about his World War I experiences. At that event he met the Connable family, who led to his connections with the Toronto Star newspaper and his employment as its European correspondent. In the fall of 1919, Ernest Hemingway decided to stay in Petoskey and work on writing stories. From October to December, he rented an upstairs bedroom from Mrs. Eva Potter, a widow living here with her children. It was in that bedroom that he worked hard—but with little success—at writing fiction. This is a private residence and not open to the public. Jim and Elizabeth Dilworth operated Pinehurst, an inn providing meals and tourist lodging. The Hemingways were family friends, and Ernest often stayed here. 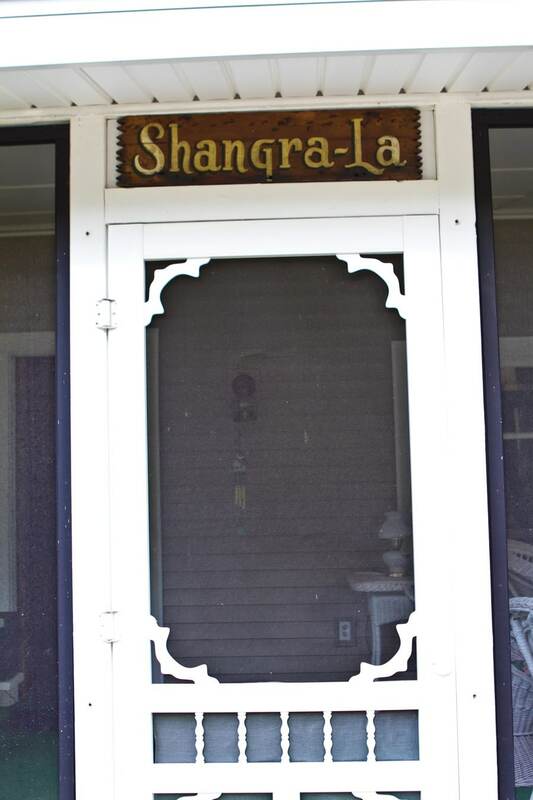 His wedding reception was held here in 1921, and next door at Shangra-la, a rooming house the Dilworths also owned. Hemingway’s stories “Up in Michigan” and “Summer People” include Pinehurst references. These are private residences and not open to the public. Hemingway loved to fish for trout on Horton Creek. He refers to the stream in his stories “The End of Something,” “The Indians Moved Away” and “On Writing,” and it appears to be the model for the creek mentioned in “Summer People” and “The Last Good Country.” Also, in “True at First Light” Hemingway describes his vivid memories of fishing at the cider mill located on Horton Creek.